Doonan, Natalie. “Spreading the Word and Sharing the Seed: Collaborating with Milkweed,” Food and Activism in Contemporary Public Art, a special issue of Public Art Dialogue, Guest Edited by Silvia Bottinelli and Margherita d'Ayala Valva. Vol.8. Taylor & Francis Online. 2018. (forthcoming). Asclepius Syriaca. Photo by Natalie Doonan. 2017. 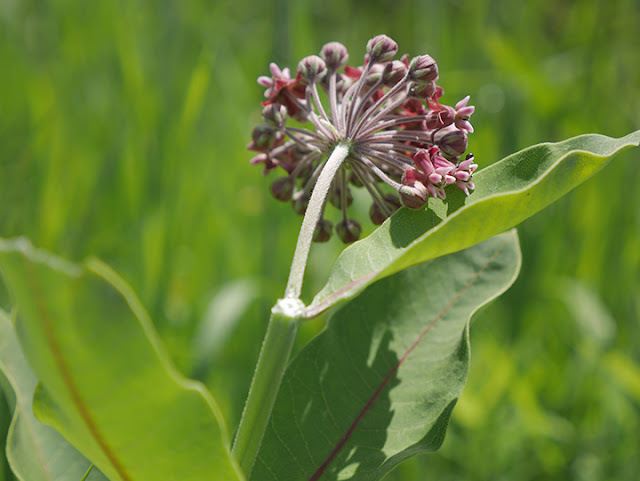 You can find milkweed in upland prairies, fields, meadows, and so-called waste places. It prefers full sun. A rule of thumb is to never forage more than 5% of what you find. In late August-September, milkweed pods will start to split open and dark brown seeds will begin to emerge. Don't collect the seeds before this happens. Wear gloves to harvest milkweed seeds and avoid touching your face, as the latex is very sticky and some people are allergic to it. Wash your hands when you finish. Although the milky sap of milkweed contains toxic cardiac glycosides, there are many ways in which the plant can be prepared and safely consumed by those who do not have allergies. Special care should be taken especially by those over 55 years old, because of the cardioactive compounds. 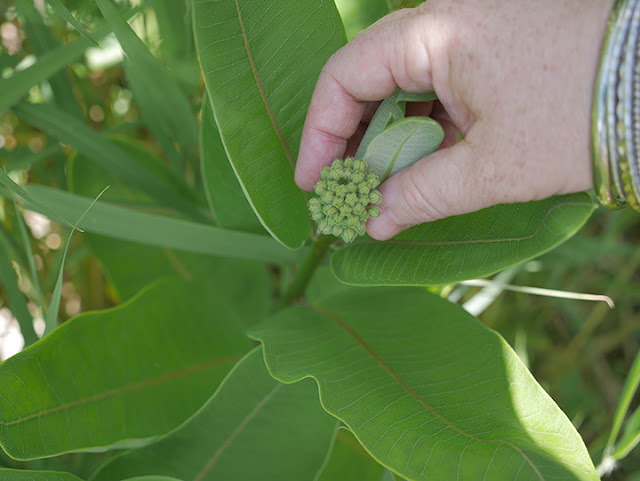 Because milkweed is poisonous in large quantities, risk to children should also be taken into account. Campaigns in Canada and the United States, such as Monarch Watch, are looking for seeds from various ecoregions to help in the regeneration of monarch butterfly populations. Photo by Natalie Doonan. 2017. Another alternative is to order seeds online. It's a good idea to source seeds from your local environment, so try to find a seller that harvests seeds near you. There are different varieties of milkweed and planting seeds that are native to your environment will help to ensure their growth. It is also important to make sure that the seeds you are buying haven't been treated with pesticides that will kill the monarchs that feed on them. Milkweed seeds need to undergo a cold stratification process in order to germinate. You can achieve this either by storing them in a plastic bag (wrapped in a moist paper towel) in the refrigerator for a month before planting, or you can plant them in the fall, just before the first frost. Either way, this will break the protective coating of the seeds so that they can properly germinate. When deciding if and when and what parts to use for cooking with milkweed, remember that this plant is the only food source for monarch caterpillars and other insects. Since monarch butterflies are endangered, it is important to consider whether our interactions with milkweed are helping or hindering their survival. Some people do eat the leaves of the milkweed plant, harvesting them in early spring when they first open. Doing this may destroy the plant. Young shoots no more than 6" long in early spring can be prepared and eaten like asparagus. This is also destructive. Collect flower buds and flowers during the summer, and pods when they are no more than 1.5" long. Young shoots, leaves and pods should be boiled in several changes of water. Asclepius Syriaca flower buds. Photo by Natalie Doonan. 2017.